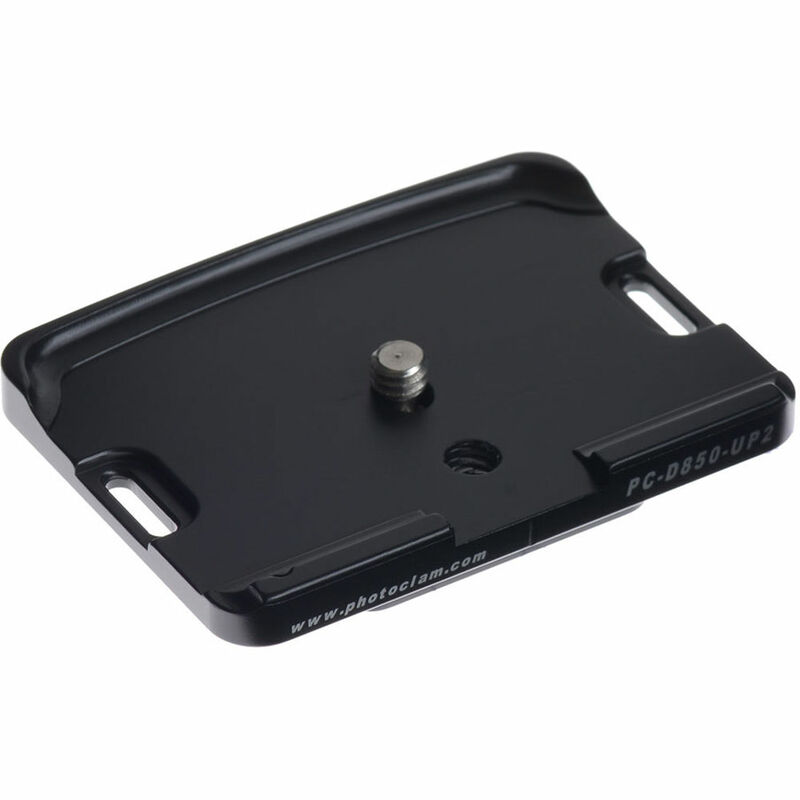 The aluminum PC-D850-UP2 Nikon D850 Camera Plate from Photo Clam has an Arca-type-compatible dovetail mount on the bottom and anti-twist flanges on the top to prevent the camera from moving while mounted to the plate. The plate mounts to the camera body via its 1/4"-20 threaded camera mount, and strap lugs are machined on either side to attach a wrist, neck, or shoulder strap. Box Dimensions (LxWxH) 3.4 x 3.0 x 0.8"
PC-D850-UP2 Nikon D850 Camera Plate is rated 5.0 out of 5 by 1. Rated 5 out of 5 by Randolph from Great Its as if it welds the camera to what you mount it to. Perfect fit to the D850.